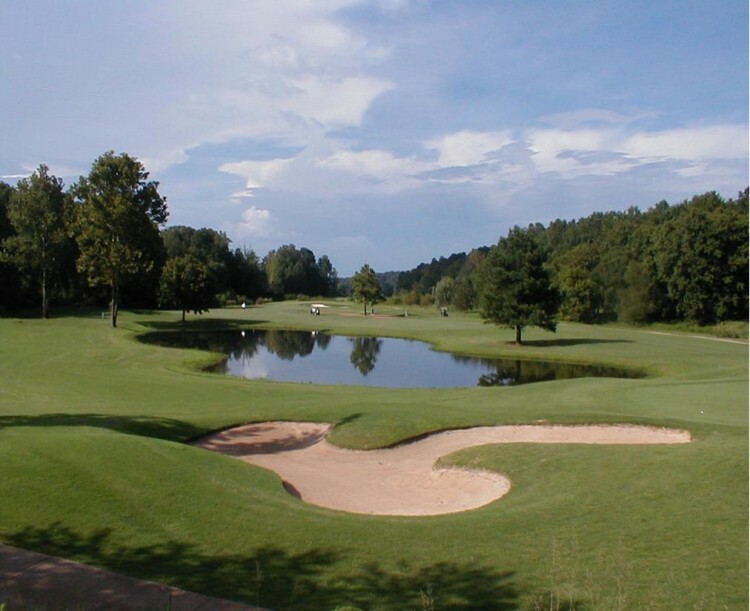 The North Georgia community of Cherokee County is a golfer’s paradise. With golf courses throughout the area, from Woodstock to Waleska, this metro Atlanta county has plenty of options for locals who are looking for top notch courses and beautiful vistas. Located in the Hickory Flat community of Woodstock, this course is built on the historic Bradshaw family farm property, and is complete with a large silos and beautiful rolling hills. With a 27-hole championship layout and dramatic elevation changes, this course was named as one of the best new golf courses in the state by the Atlanta Journal Constitution. For more information or to reserve a tee time, visit the Bradshaw Farm Golf Clubwebsite. For more information on the course or to book a tee time here, visit the Towne Lake Hills website. This 72-par course is another beautiful and well-designed golf option for enthusiasts of the sport. With rolling hills, five sets of tees and a variety of landscapes, this course also includes great practice facilities and a pro shop. For more information, visit Bridgemill’s website. A regular site where U.S. Open Sectional Qualifying is held, the Hawks Ridge Golf Club in Ball Ground boasts “a pure golf experience” for its visitors. With a helipad, on-property cottages for guests, a Walking-only Executive Par-3 Course and an 18-hole championship golf course, Hawks Ridge is a golfer’s dream. This course was named in Golf Digest’s Top 100 list the very first year it was eligible, and is set on 550 acres. For more information, visit the Hawks Ridge website. Nestled in the North Georgia foothills, the Highlands Course at Lake Arrowhead features mountain views, and 18-hole course, full-service facilities, a driving range, and chipping and putting greens. For more information or to book a tee time, visit the Lake Arrowhead website. Designed by one of the world’s top golf architects, this 18-hole course in Canton features wooded creek and lakes on rolling terrain. The Woodmont course is known for being beautiful and challenging, and tee times can be booked online. For more information, visit Woodmont’s website. This Towne Lake community is also known for its beautiful landscape and an 18-hole golf course designed by Arnold Palmer. A golf shop and dining facilities are available at the clubhouse. For more information, visit the Eagle Watch golf course For more information, visit Woodmont’s website. Cherokee County boasts tons more local golf courses that beg to be explored by amateur and serious golfers alike. Some of the other courses in Cherokee include: Callahan Golf Links, Canton Golf Club, and the Fairways of Canton.